At a Swiss spa, upper-class expatriate American Frederick Winterbourne (Barry Brown) meets pretty, nouveau riche flirt Daisy Miller (Cybill Shepherd). 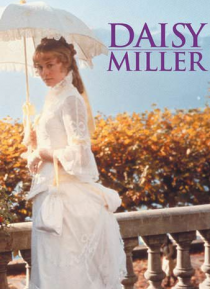 Despite warnings from his dowager aunt (Mildred Natwick) about Daisy's recklessness with men, Winterbourne finds himself drawn to her. But Winterbourne cannot reconcile his own feelings for Daisy with the manners that he is used to following, nor ca… n he fathom how she may feel about him beneath her veneer of willful coquetry.